Nintendo may have abandoned true 3D gaming with the 2DS and the Switch, but it appears the company isn’t finished with the technology entirely. A patent application just published in January points to Nintendo’s potential plans to turn your television into the ultimate 3D gaming display. Published by the United States Patent and Trademark Office on January 24, a patent application for “Eye Tracking Enabled 3D Viewing” was filed by Nintendo back in September 2018, with the goal of providing a device that can see where users are looking in order to deliver the optimal 3D viewing angle. 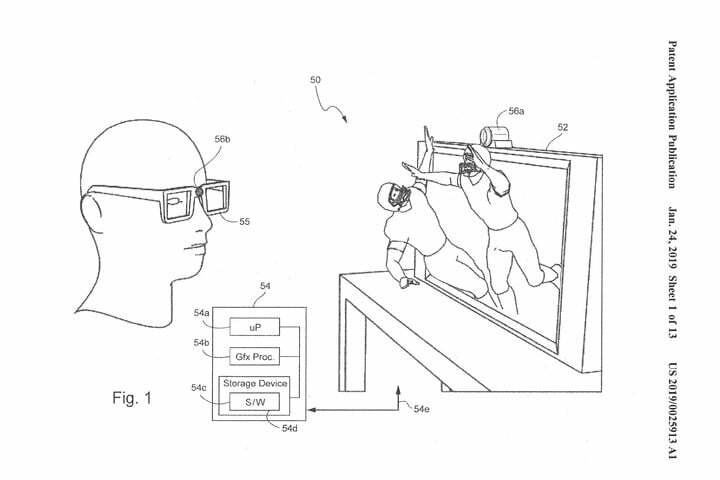 The application, which stated it’s a continuation of other patent applications dating as far back as 2010, details the issues 3D viewing has run into on television sets. 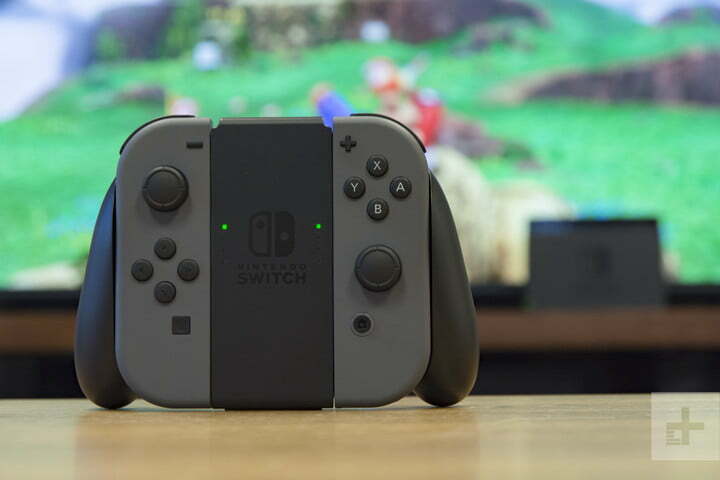 Instead of using a specialized 3D display or glasses, Nintendo’s approach is to place an eye-tracking device on top of a conventional display, allowing it to track users and give them the best 3D image. In order to improve the tracking capabilities of the camera, users can wear a marker on their head. In the sketches shown in the application, a small marker is placed on the player’s glasses, though it looks small enough to avoid impeding their playability. “Viewpoint movement detection can provide collision-related game logic benefits such as allowing a player to dodge projectiles, giving a game character an ability to ‘see’ the player when not behind line-of-sight obstacles, and other advantages,” the application continued. These advantages can already be seen on the 3DS, because it offers glasses-free 3D gameplay. Super Mario 3D Land, for instance, makes gauging jumps quite easy as it provides depth not seen on other systems, and it’s a feature that’s sorely missed in Wii U and Switch Mario games. On newer 3DS models, the system even tracks your position using its own camera, maximizing the “sweet spot” of its own 3D screen. As with many patent applications, there’s a good possibility nothing will come of Nintendo’s 3D technology, and the images shown in the application are not new. However, with the 3DS reaching the end of its life, perhaps it will be time for Nintendo to seriously consider moving forward on the tracking camera.